I used to visit Cafe Délice most lunchtimes when I first moved down to Brighton from the Big Smoke. My new place of work was right round the corner from Kensington Gardens, where the cafe sits at the end. Without fail, I ordered the Monster Club to take away – ham, cheese, mayo and salad inside a massive baguette the size of a grown man’s foreman. The ham was thick cut and excellent quality, and such was the enormity of the baguette (it wasn’t called Monster Club for nothin’), eating it felt as satisfying as a full meal. Afterwards my desk was always swamped in crumbs. Cafe Délice has undergone a major refurb since those days; gone is the oversized glass counter that housed the fresh ingredients and whole cakes, gone, too, is the emphasis on takeaway lunches. In its place are the rustic wood panelling and rickety tables that evoke memories of a Parisian lifestyle, reinforced by the wine racks on the counter, the extensive liquor cabinet on the wall, and the accents of the pretty young things that bustle around us taking orders and serving meals. And by the fact my charmingly-named Cheese Beef Burger came in a baguette, of course. There was only one burger on the menu, so choosing it was easy, although I decided on the addition of bacon too because… well, who wouldn’t? Those who are of a more fungal disposition can add sautéed mushrooms for the same price. My fiancé chose a smoked salmon ciabatta, free from the obligation of choosing another burger on the list, because there wasn’t one. She regretted her choice though, as she only got half a ciabatta, and felt her meal hadn’t been worth the price. I’ve made my distaste of raw red onion clear in these posts before, so was skeptical of the bright purple ooze spilling out from my burger as it was placed before me, as if the patty had suffered a mortal wound and was slowly expiring atop that attractive serving board. But it was delicious – a soft and tangy red onion marmelade that helped cut through the richness of a beautiful piece of beef and a smoked and streaky ribbon of bacon, pink as a human tongue. The patty was so homemade it even struggled to be round; its surface undulated wildly, creating peaks and troughs in which the cheese had happily settled to melt slowly into the meat. A light serving of lettuce underneath was just enough to provide some balance to those heady rich flavours. And then there was the ‘bun’. The baguette that all this goodness was housed in looked crusty, which can be a tricky proposition for a burger, as the first bite tends to push out the ingredients ungracefully onto the table. But this baguette was beautifully soft and floury, so much so that it began to split down the middle about halfway into the burger, but doing just enough to survive to the bitter end. Half a dozen entires in, and I’m finding it’s becoming difficult to write about fries without retreading old ground. They were good – thin and crispy, and (fairly) plentiful. That’s about all I can say on the matter. While the burger was indeed “délice”, not everything was to my liking. At £10.20 (including the £1.25 supplement for bacon), it wasn’t the cheapest burger and chips I’ve ever sampled, although also not the most expensive. The main bugbear was how long it took to arrive – so late in our allotted lunch hour that we had to snaffle it up pretty swiftly. But these are minor quibbles. 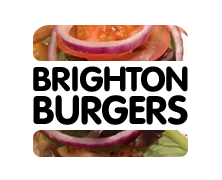 This is a very tasty burger indeed, the red onion marmelade a surprising winning component alongside quality ingredients all-round. If you have time to take in a lazy lunch, you could do far worse.